OH BOY, I thought changing this web site monthly would be a piece of cake. Retirement has affected my life in many ways. Deadlines and burning the candle at both ends have been transformed into – there is always tomorrow! Our lives have been blessed in so many ways this past year and yet our families in Illinois are experiencing serious health problems and are a constant concern. 2003 ended in a flurry as Stacy and Michael moved in with us after Thanksgiving while their new home was being finished. As two deadlines for moving into their home passed, Abigail Dawn was born on December 8 and it was great having her in our home for the first month of her life. Then on February 23 we had the addition of Hudson Riley, Chad and April’s third child. 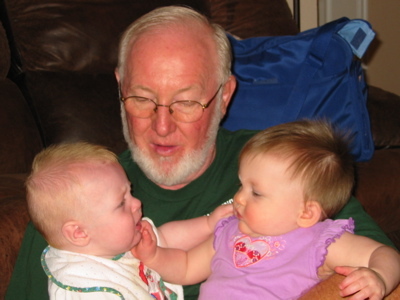 Both new grandchildren have provided great enjoyment for ma ma and pa pa! Early in January I received a call that my younger sister in Peoria, Illinois was to have surgery for stomach cancer. Unfortunately at this point in time she has not had a piece of solid food for nine months and after much chemo and the finding of additional cancers, she continues fighting the good fight. She has great faith in the Lord and receives incredible support and prayers from her family and friends. Karen missed the birth of Hudson as she spent three weeks at home in Illinois with her 94 year old mother, who passed away on February 24 after a rich life. About that time, Karen’s older sister was diagnosed with ovarian cancer and after two surgeries is hopefully doing well as she receives treatment. Karen and I both regret not being closer to our sisters and my mother. After three months of retirement I began to feel guilty for not missing the University one little bit! I have discovered that the reason was that I had no apprehension or doubts about the direction the Pride would take under Brian Britt’s leadership. It has been obvious that Bill and Brian have made numerous changes to the overall band department. When a program has taken one direction for 30 years, changes are expected and necessary to move the program forward. I know a great deal of work has gone into the planning of the 2004 Homecoming and Centennial Celebration for the Pride. Kudos go to both the University Band Staff and the Band Alumni officers. After the Houston game, I saw Judy and Jack Foote. 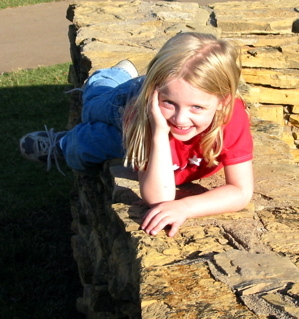 They will not be able to attend homecoming;however, informed me that Kay Braught will be in Norman for the weekend. Hopefully Karen and I will see many friends and former students Friday night and Saturday for all the festivities. Many of you keep asking about Roland. 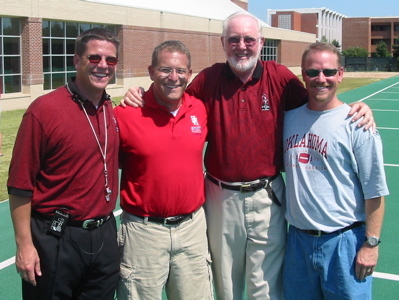 When I made my decision to retire, one of my major concerns was that Roland could remain at OU and utilize his new doctorate to benefit of the School of Music and the University. 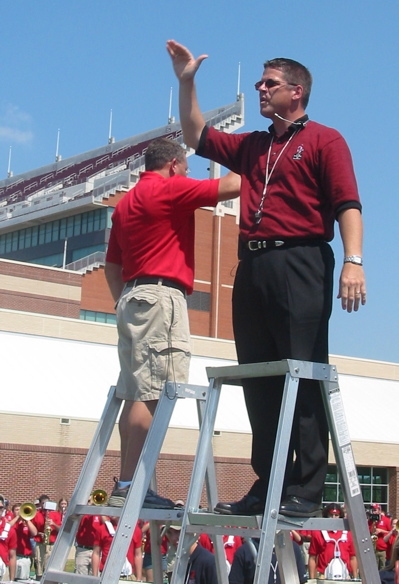 In addition to his position with the Theory/Composition Faculty, Roland continues arranging for the Pride of Oklahoma. He teaches fifth semester theory, counterpoint, two 20th century graduate theory courses, and has just begun to teach undergraduate composition. He has just signed an exclusive contract with FJH Publications in Ft. Lauderdale, FL for six compositions a year. Roland informs me that the School of Music has just placed him on a three year tenure track which is most exciting for him. Roland and Marie have built a new home in northwest Norman. Get out your Christmas card list. 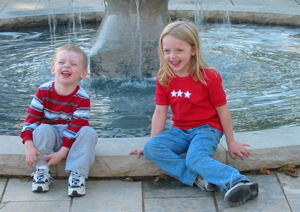 Their new address is 3339 Teton Circle – Norman, OK – 73072. Emily is now in the 5th grade and is a gymnastics enthusiast. She is level 6 and trains 5 days a week for 3 hours each day. She is starting orchestra next week. Jesse and Ben are in 2nd grade. Jesse, like Emily is in gymnastics and is level 4 training eight hours a week. Ben is playing soccer but really likes basketball. All three are playing the piano. Although I do not see the Barretts often I have fond memories of the time Roland spent with the Pride. There is no doubt we could not have made the strides we made without his expertise. energy, and love for our program. I know many of you agree and have wondered how he is doing. Saturday, September 11, two OU graduates and Pride members, Brian Britt (’87), Director of the Pride and David Bertman (’87), Director of the Cougar Marching Band brought their bands together for an extremely memorable day. I was so proud to observe two former students who represented their alma mater in such a class manner. The bands rehearsed separately at noon and at 1:30 were brought together to rehearse a finale for the evening halftime. Roland Barrett arranged a medley of “Taps, Amazing Grace and America” which was a moving climax to a halftime on the third anniversary of 9/11. The final measures of the medley could not be heard over the applause of the Sooner fans. 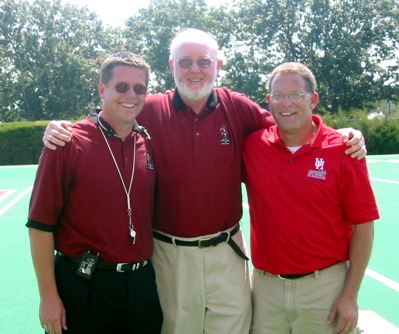 Mark McGahey(OU ’88) a Pride member with Brian and David is now the Director of Bands at Keller High School in Keller, Texas. In 2000 Mark’s band was selected the 4A Honor Band in the State of Texas and performed at the Texas Music Educators Convention. CONGRATULATIONS to Brian, David, and Mark. After considering the illnesses of our sisters and having two new grandchildren, we decided to go ahead with plans to take the second trip of our dreams. 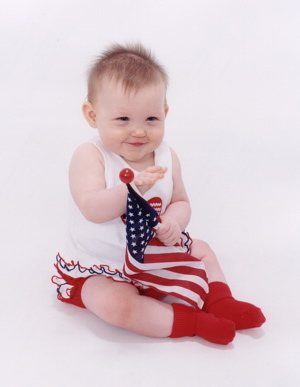 In 2001 we spent two months in New England and this June 28 we departed for a nine week trip to the great northwest. Tyson (our nine and a half year old boxer) absolutely loved to travel with us. When I pulled the RV in the driveway, he knew what was about to happen and I could not turn around without him on my heels. Karen and I debated, but decided to take him on our northwest trip. He contracted rocky mountain fever and four days prior to our trip we were forced to put him to sleep. 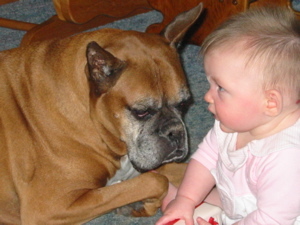 It is unbelievable how much one loves a pet and how much it can affect us when they are gone. It is still hard to accept that he is no longer with us. We first traveled to Mt. Rushmore and Crazy Horse monuments in South Dakota. Then down across Wyoming to Jackson Hole, up to Yellowstone, and on to Glacier National Park. We would strongly urge anyone taking the “Road to the Sun” at Glacier, to cross the border and visit Waterton, Alberta. It is gorgeous! 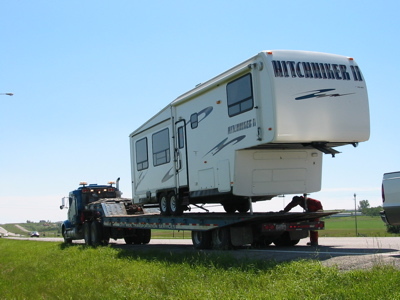 We crossed the Canadian border and ten miles from Calgary a spring on our 5th wheel broke and the entire unit had to be placed on a flat bed and transported to Calgary. Being Saturday of the last weekend of the Calgary Stampede we discovered there was not one “room at the inn.” We spent the entire weekend in the parking lot of Standens, the only company in Canada that makes springs. After a $350 tow, a $295 tire, and the cost of a new spring, we were on our way on Monday morning. Now this is a real tow! If you have not been to Banff, Alberta it is another “don’t miss.” After ten days crossing the Canadian Rockies, we visited Dondi Cupp (former Pride drum major) and Ann Hardin Shahi in Seattle where we received the “cook”s tour. 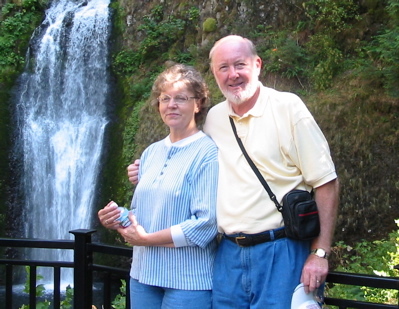 Then to Portland to visit old friends Lloyd and Kay Robbins who wined and dined us for three days while seeing the city. We then spent a relaxing week on the Oregon coast. 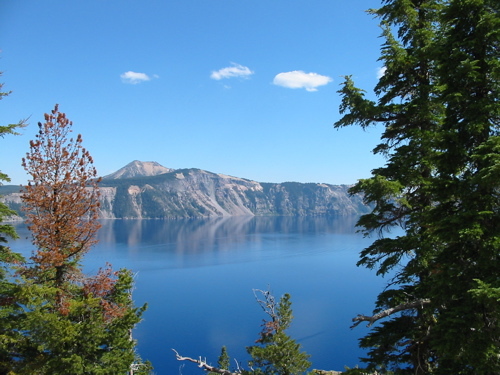 Another “don’t miss” is Crater Lake in southern Oregon. We spent three days in Bend, OR and if we had to move from Norman, Bend might be the city we would choose. It is the size of Norman without the University, surrounded by mountains, has great fishing and ideal weather. Unfortunately, I raised up and hit my head on the bedroom slide and I had to have five stitches above my right eye. It was a really stupid move! We then crossed Oregon, southern Idaho, and stayed three days in Salt Lake City. On to southern Utah to Bryce Canyon, Zion National Park and the north rim of the Grand Canyon. After three days in Flagstaff and a visit to Sedona, we headed home. We left a day after Brayden’s third birthday and arrived home two days before Shelby’s sixth birthday and the opening of the Sooner football season. I found it much easier to go the nine weeks without shaving. The question now is how long the beard will last! 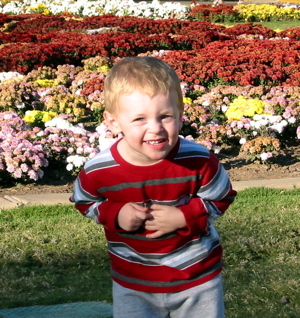 Brayden – this is the real Bray!